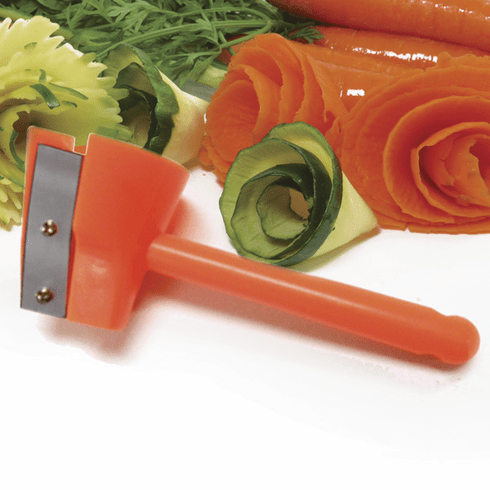 5.5"/14cm Just like sharpening a pencil, turn carrots, cucumbers, squash, zucchini's or parsnips in sharpener to create ribbons. Use your imagination and creativity to create flowers and garnish to give your dishes beautiful presentation. Additional crinkle cutter blade attached on the side.